When we were kids, my brother Johnny and I used to deliver newspapers together in the early hours before dawn. He stacked the red metal wagon with the rolled papers and when we got to High Street, we would climb atop the pile, bend the long handle back and use it like a steering wheel as we zoomed down the hill. In our paper-delivering travels, we’d run into the milkman, Russell, making his home deliveries- the only other human being up and about that early in the neighborhood. We’d hang out the open sides of his milk truck like we were hanging from a San Francisco trolley, slugging quarts of chocolate milk as the wind whipped back our hair, feeling pretty darn free as we “worked.” Russell would laugh and shout with fun, a kid himself. But then the milk and activity would make our bowels talk to us and we were far from home. Johnny and I found dark back yards and medial strips in boulevards to squat like puppy dogs and relieve ourselves, laughing so hard we could hardly squat. We managed to find adventure merely from delivering the morning paper together. Johnny and I were the middle two kids. The older one above us could do no wrong as well as the younger one below us. We got ignored and hence were able to go our own way. But in seeking our own way, we often made choices our parents did not approve of. We butted heads with Mom and Dad but Johnny’s head was bigger and he was stronger and it often got him into trouble. Johnny became the black sheep, me the medium grey. It made us bond together, however, and he gave me one of the greatest compliments I have ever received. He wanted to find a girl to marry just like his sister, Cindy. Unfortunately, my brother made some choices along his life that led to some pretty serious consequences and this past weekend, the older sibling, the younger sibling and I traveled to the Lompoc Prison Camp in California to see him. It was a big deal to find the money, carve out the time, and try to find a middle ground amongst siblings whose lives and personalities often seemed more polarized than similar. 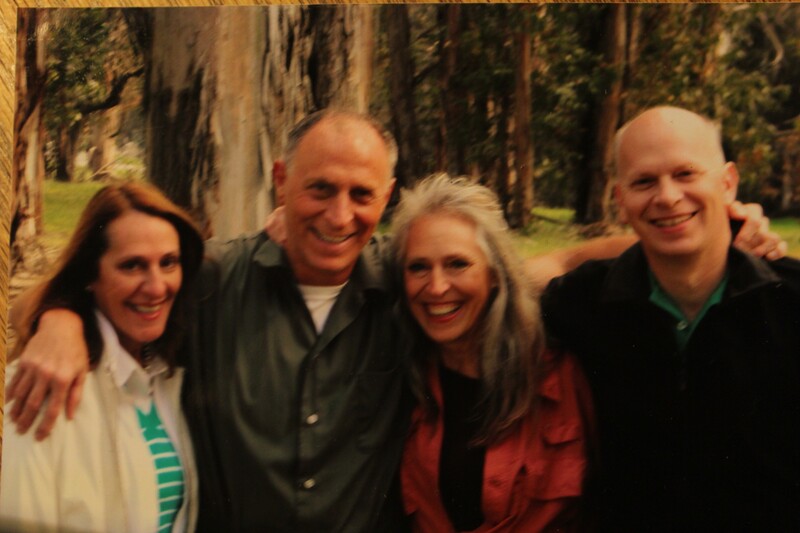 I was more concerned with getting along with my two siblings than I was visiting a prison camp. It was the kind of life event that could result in terrible bad feelings or the complete opposite. My sister said, “What if he is mean? He wasn’t that nice the last time we saw him.” I looked at her and said, “How could he POSSIBLY be the same person?” In solitary confinement for 32 days one time? In a state penitentiary with really bad guys for 1 ½ years before he even got his sentence? In a fantastic rehab program that is forcing him to examine everything in his life and claim responsibility for all his actions? I COULD NOT WAIT to see him. I only thought good things would result from our visit. We had corresponded the later part of these two years that he was in this prison camp and in his letters, he shared the tremendous progress he was making and the very beneficial changes he was in the midst of living. He was so excited to see us, he wrote me, that I bet it felt like Christmas Eve to him as he lay awake in his bed. And when I saw him walk into that meeting room the next day, I broke into a run and threw my arms around him and hung onto his neck and could not let go. I did not even want to share him with my siblings and release my grasp. He looked so good. Healthy, happy, tan, fit and better than I have seen him- maybe since we rode the wagon down High Street together. It has been that long since he was on the right track in life. We sat at a picnic table in the sun in a courtyard surrounded by towering eucalyptus trees and fed quarters into vending machines and snacked and talked and laughed and heard eyeball-widening stories about his past prison life and he practiced his therapy communication techniques with us and the six hours flew by. Lucky for us, we had another six hours to look forward to the next day, Sunday. When I returned to our hotel room and began to write in my journal about this experience, the overwhelming feeling I had was one that I had after my parents died. I would lay in bed and miss them terribly. Wet hot tears would roll down my cheeks and gather in my ears. I used to think, if I could JUST see their faces, even for a brief moment, it would be enough. If they could just come back for an hour, I would be so unbelievably grateful and filled with complete joy. And I would proceed to go to sleep and they would visit me in my dreams. And I remember the feeling I had when I saw them- “Oh my God, I missed you so much!” But then I would wake up and realize it was not true that they had not come back to me and I was so sad. This experience with my brother felt very very similar. When I heard early on that he was in solitary confinement and still very angry, I was very fearful he would get in a fight and be killed and I would never see him again. So sitting there at that picnic table in the sun, I found myself continually studying him. I looked at the auburn hairs in his eyebrows and how far back his freckles covered his forehead and I studied the shape of his lips which are identical to my father’s and mine, and his fingernails which looked exactly like my father’s whose I haven’t seen in the flesh for 27 years. And I listened to his laugh and looked at how bright his eyes were and just sat back and basked in his voice and his warmth and his light. I just wanted to make sure all day long, that he was indeed real. For it truly felt like my beloved brother had died and had come back to life. But contrary to my dreams where my parents visited me, Johnny was truly real and right here in front of me. About every half hour, I would become overwhelmed with the need to touch him, just to make sure, and I would rise up out of my seat, and go over to him while he chatted with my siblings and just wrap my arms around his neck and breathe him in. After hugging him for awhile, I felt satisfied that he was real and returned to my seat. Only after another hour of watching and listening and talking, I would need to rise up again and go over to embrace him. There are very few times in life where you get another chance. My brother Johnny has been given another chance in life. He can make the next half a century completely different than the last one. And I want to be there for the duration. Our grandmother died at the age of 102 and I am reminded of what Winnie the Pooh said, “If you live to be 100, I want to live to be 100 minus one day, so I never have to live without you.” When Johnny gets out of prison, we need to go back to our childhood neighborhood and take a ride down High Street in a wagon, just because we can. “How long has it been?” we asked each other as we sat around the picnic table feeling the ocean breeze and the warm sun hugging us with nature’s gifts. Just moments before, Cindy ran up to me and hugged me with such joy and enthusiasm, I felt i would float off the ground. All concerns about their possible awkwardness or resentment for the way I had been, or them visiting me in prison, faded away like a shadow when the sun goes behind a cloud. I felt her unconditional sisterly love fill my soul like a therapeutic elixir from the gods. Instantly, I forgot where I was and was transported to a safe and happy place. The dynamics of sibling interpersonal communication played itself out for my two older sisters and my younger brother as they drove from hours together in a car and stayed over in a hotel the night before their visiting me. The first time they’ve ever spent so close required rules: no religion and no politics, both of which were violated as evidenced by their individual disclosures to me during our private one on one time. “They are driving me nuts!” said Cindy. She is the free spirit of the three- a writer, a camper, backpacker who travels the world hiking and writing about her encounters in articles and books. David, the family worrier, he has passionate views on life that have suited him well as evidenced by his wonderful marriage, lovely wife and successful professional business. He has been a big-little brother to me, being the example, doing things right and reaping the rewards for over 30 years. Jojo, the oldest, has been the magnetism that draws the family together taking after my mom. She keeps up communication regardless of sibling rivalry or petty mistakes or slights. She has been my anchor and portal to the family taking over where our mother would and I know she is watching her with pride. She has cared and helped me even when I made it very difficult. Cindy, the other middle child with me, has been and is the energy and free spirit that fairy tales are written about. She is like a free wild horse galloping in the ocean’s surf enjoying all that life and nature and her beloved family can squeeze out of each day of joy. She has been my angel so often throughout my life. These three greeted me as the sun the moon and stars, unearthly objects gazed at but out of reach. Except, they surrounded me with their embrace, love and enthusiasm and non judgemental care. I felt elevated and was intoxicated with their energy. I forgot where I was and was beamed back in time to our backyard, playing, laughing, living in the moment with no care or concern. What a blissful time they gifted to me. We talked about our childhood, what transpired to bring me to prison, what we felt, the mistakes I made and the changes I am undergoing. I was able to practice straight talk, assertive communication as well as show genuine caring, gratitude and honesty to the level where I know that they know I am a new man. Listening without interrupting or finishing their sentences, my patience and self control was evident immediately. I felt empowered to attract their conversation instead of repulsing them as I have in the past. I am still highly overwhelmed with the humbling love they showed to me. And all they asked from me is to follow my rectification for my past by using my talents and gifts to fulfill God’s will in my life and reach my destiny. Oh golly, so many thoughts go through my head as I read these beautiful heartfelt raw honest funny kind understanding and forgiving entries. We all deserve a second chance….. How timely of a thought as it is Easter today! As I recently studied and learned, we have all sinned and been sinned against. At those times of sin, the sinner surely did not know of God’s love….. If we/they did, we/they surely would not have sinned! thank you! prayers are important! Johnny writes so well of his experience reuniting with you all! I’m so inspired by his love and transformation. Your mutual acceptance is heartwarming and a great teaching to everyone. Am keeping Johnny especially in my heart and meditations, and hope he will keep us in his. We’re all prisoners until we know ourselves as truly free. your needs? I wouldn’t mind writing a post or elaborating on many of the subjects you write concerning here. Again, awesome web log! Previous Why Would An American Want to Come to Mauritius?